Soil acidification is an inevitable and ongoing consequence of productive agriculture. When ongoing soil acidification is managed as part of the farming system soil can be prevented from becoming acidic. The Department of Primary Industries and Regional Development (DPIRD) recommends soil pHCa values at or above 5.5 in the topsoil and 4.8 in the subsurface. These values have been developed based on hundreds of trial-years of data. Maintaining topsoil pHCa above 5.5 will treat ongoing acidification and ensure that sufficient alkalinity can move down the soil profile and treat subsurface acidification. The effects of aluminium toxicity in the subsurface are minimised if the pH is above 4.8. 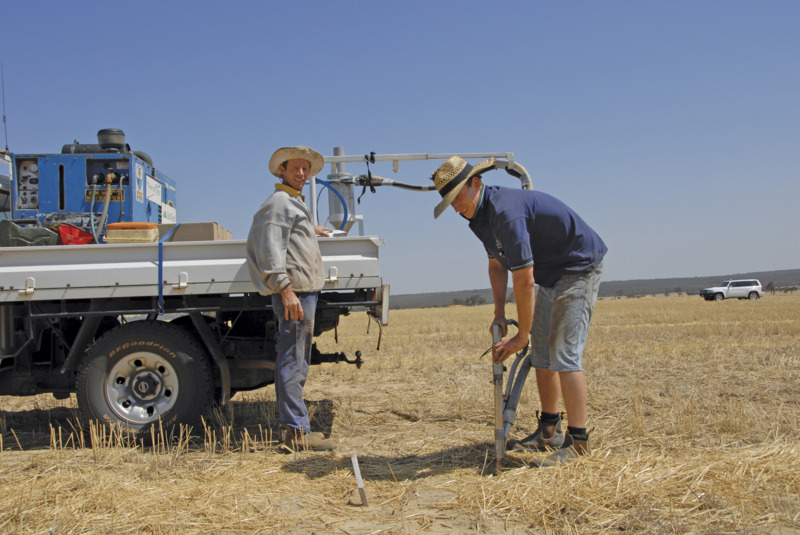 Soil pH test results can be interpreted using DPIRD targets as a basis. If the top and subsurface soil pH values are at or above target values, only maintenance levels of liming will be required to counter ongoing acidification due to agriculture. If the topsoil pHCa is below 5.5, recovery liming is recommended to prevent the development of subsurface acidity, even if the subsurface pHCa is currently at 4.8. When the topsoil pHCa is below 5.5, insufficient alkalinity can move down to counter ongoing acidification in the subsurface and the pH is likely to drop. 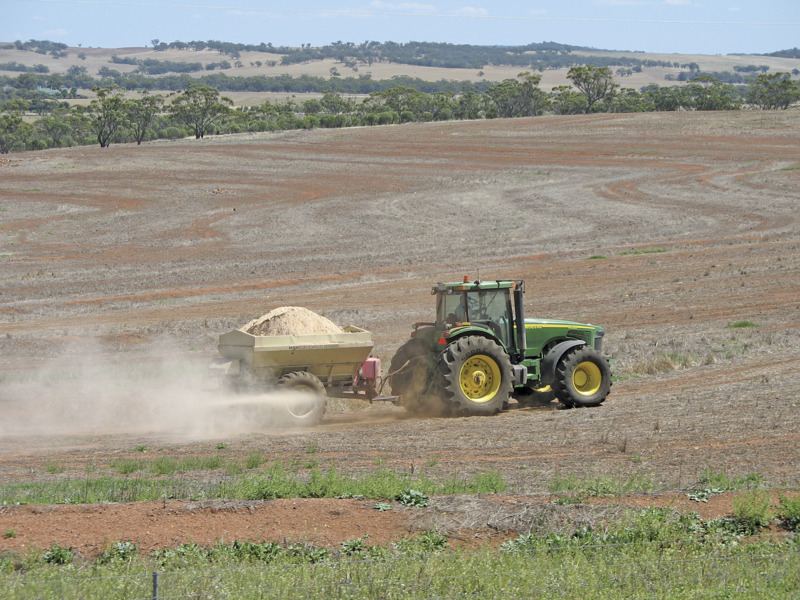 If the subsurface pHCa is below 4.8, liming to maintain (or recover) topsoil pHCa at or above 5.5 is essential and subsurface pH should be monitored in three to four years so that the liming rates can be adjusted if insufficient alkalinity has moved down to treat the subsurface acidity. Knowing how farming system inputs and exports contribute to soil acidification will help to calculate the amount of lime required to counter ongoing soil acidification due to agriculture (maintenance liming). Different amounts of alkalinity are exported in various farm products and need to be replaced in the form of lime to prevent soil acidification (Table 1). The amount of lime required to counter the acidifying effects of common nitrogen fertilisers is given in Table 2. Ammonium fertilisers are the most acidifying. Elemental sulfur can contribute to soil acidification when it is converted to sulfate (the form that can be taken up by plants), however, relatively little elemental sulfur is applied in Western Australian farming systems and its contribution is small compared to ammonium fertilisers. If sulfur is applied in the form of sulfate, as in calcium sulfate (gypsum) it is non-acidifying. Phosphate fertilisers are non-acidifying. Typically, a wheatbelt farming system operating a winter crop/pasture rotation in WA has an acidification rate equivalent to 25-345 kilograms per hectare per year of pure calcium carbonate (NLWRA 2001). Required liming rates can only be estimated and monitoring of the soil pH profile every three to four years is recommended so the liming program can be refined.